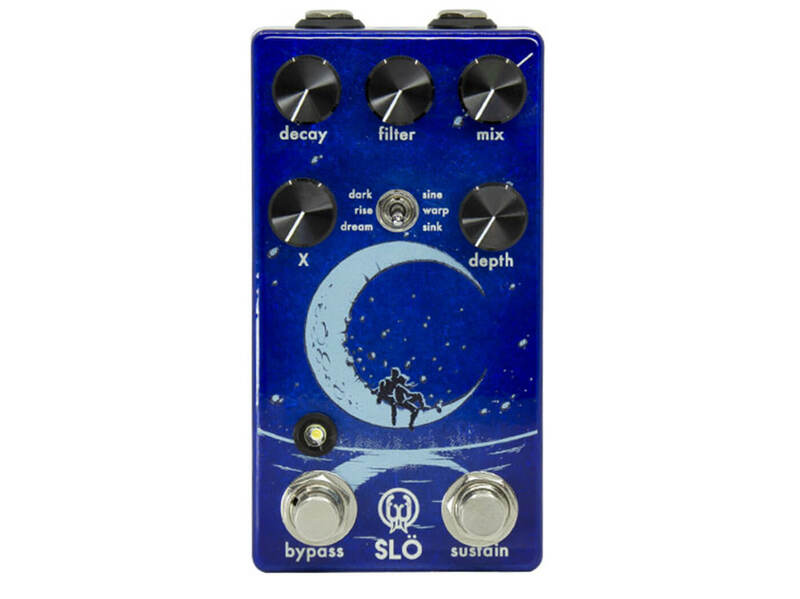 Walrus Audio has pulled the curtains back on Slö, a multi-textured reverb pedal designed to create hypnotic and dream-like soundscapes. At the stomper’s heart are three reverb algorithms – Dark, Rise and Dream – which can be toggled via a three-way switch. 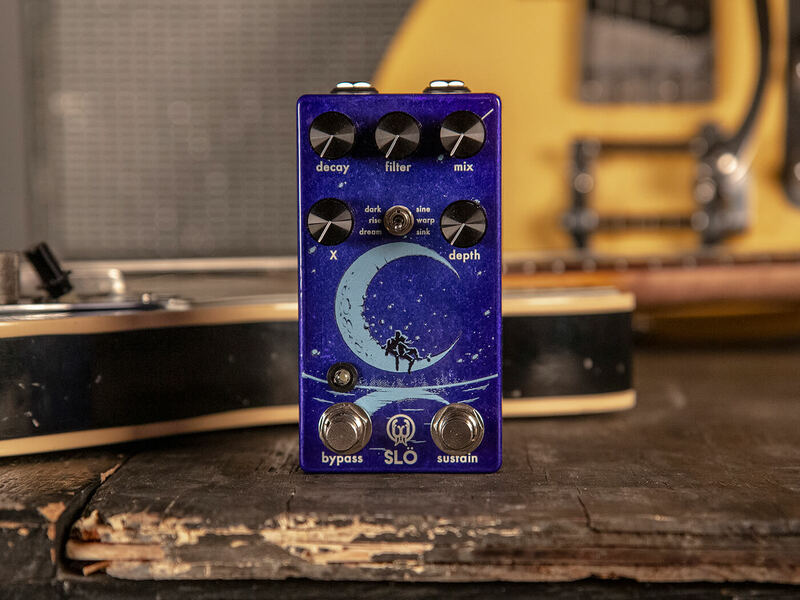 Dark injects a lower octave into your reverb trail, Rise produces a cinematic-like swell and Dream delivers a lush reverb with a latching function. The above three-way switch also has a secondary function. When the bypass footswitch is held down, you can toggle the switch to access three modulation wave shapes: Sine, Warp and Sink. As for controls, you’ll find five knobs onboard the Slö. These include decay, filter, mix, a mode-specific X knob, and depth, which adjusts modulation speed when the bypass footswitch is depressed. There’s also a sustain footswitch which can be used to ramp up reverb trails or access Dream’s latching function. Check out our full review of the Walrus Audio Slö here. Retails at $199. More info at walrusaudio.com.